Roy Chiu (邱澤) had been trending on Weibo for a while, and it’s not for a good reason. The Golden Horse Best Actor nominee and Dear Ex <誰先愛上他的> actor came to Weibo’s attention when famed TV drama producer Yu Zheng (于正) lambasted the Taiwanese actor for dropping out of his drama last minute. Unfortunately, Roy’s split with Yu Zheng wasn’t the only messy breakup he has had in his life. 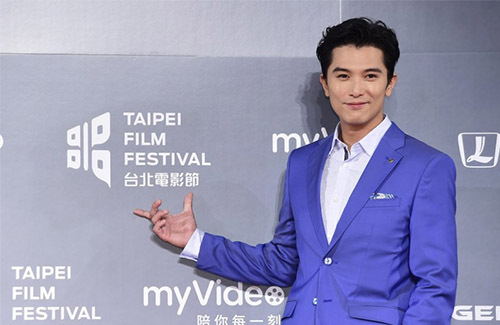 Since his debut in 2002, the Taiwanese actor has had three known girlfriends—Rainie Yang (楊丞琳), Joe Chen (陳喬恩), and Tiffany Tang (唐嫣), all whom he had worked with over the years. His first relationship since debut was with Rainie Yang, his costar in the 2003 Taiwanese drama Original Scent of Summer <原味的夏天>. The couple reportedly dated for eight months before finally splitting—and though the breakup was mutual, it wasn’t exactly ideal. Although a name was never explicitly dropped, Rainie had said that one of her most unpleasant breakups was with a fellow celebrity. Reportedly, Rainie and Roy met only ten times in the eight months that they’ve dated, and whenever Rainie would call up Roy for a chat, the actor would dismiss her, telling Rainie that she was being too clingy. Roy’s next known girlfriend after Rainie was Joe Chen, whom he reportedly dated after collaborating in the 2009 drama Easy Fortune Happy Life <福氣又安康>. Roy soared to fame in Mainland China following his starring appearance in the 2010 drama The Girl in Blue <佳期如夢> with Joe, and while Joe appeared ready to confirm their relationship, Roy firmly denied the rumors, stressing that they were only friends. Their relationship turned sour, and when Roy was brought up in conversation years later, Joe said they had stopped contacting each other after filming and would like to not be associated with that name. That response angered Tiffany’s manager, who then released a photo that Tiffany and Roy had taken together only four months prior. According to Tiffany’s manager, Roy was lying about not being in contact for seven months, as Tiffany had flown all the way to Taiwan to celebrate Roy’s birthday only four months ago. Lamenting about how much Tiffany had suffered throughout their relationship, her manager exclaimed that Roy only cared about his own image, and never once considered Tiffany’s own sacrifices. She also revealed that whenever they were to meet the press, Roy would always call up Tiffany a few days prior to give her a script on what to say. He is a scum. No respect for women. He deserves to be sidetracked. He and Jiang Jingfu should hook-up. They make a good match. Roy is a typical Player!!! He charms the pants off his leading ladies and they think they will be the ones to change him. Unfortunately not, once he has conquered he’s already on the look out for his next prey.